His talk, "After The Civil Rights Movement: The Legacy of Dr. King-Today and Beyond," will be at 7:30 p.m. at the UC Santa Cruz Music Center's Recital Hall. The speech will describe and interpret the legacy of King's leadership during the historic civil rights movement. Jones is a diversity scholar and visiting professor at the University of San Francisco and a scholar-in-residence at the Dr. Martin Luther King, Jr. Research and Education Institute at Stanford University. He is coauthor of What Would Martin Say? (2008) and Behind the Dream - The making of the Speech that Transformed a Nation (2011). In a 2013 interview with NPR, Jones explained how he had to sign a $100,000 promissory note to post bail for children who were arrested after the Children's March in Birmingham in May 1963. After that experience, he suggested King might use a promissory note as an analogy for his speech at the March on Washington. "You know, coming here to Washington ... is like we are coming to our nation's capitol and ask[ing] to be repaid, or ask[ing] to be paid in full, on a promissory note," Jones told NPR. "Well, there has to be sufficient funds in the vaults of justice in this country." Through his work in the civil rights movement, Jones has had a dramatic impact on the course of American history. He coordinated the legal defense of King and the other leaders of the Southern Christian Leadership Conference against the libel suits filed against them and the New York Times. He also he drafted the settlement agreement between Birmingham and King to bring about the end of demonstrations and the desegregation of department stores and public accommodations. 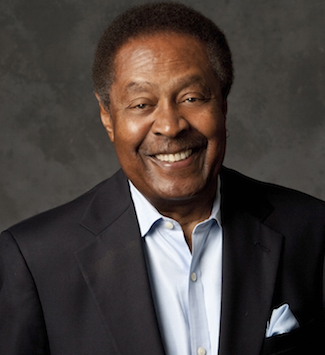 In 1967, Jones became the first African American partner in a Wall Street investment banking firm. He has founded successful financial, corporate, and media-related ventures and has twice been recognized in Fortune magazine. The event is sponsored by the Office of the Chancellor, the Office for Diversity, Equity, and Inclusion, the Anti-Defamation League, and the Equal Justice Society. Complimentary parking will be provided in the Performing Arts parking lot for lecture attendees. Parking staff will be on hand to issue complimentary permits to guests identifying themselves as lecture attendees.